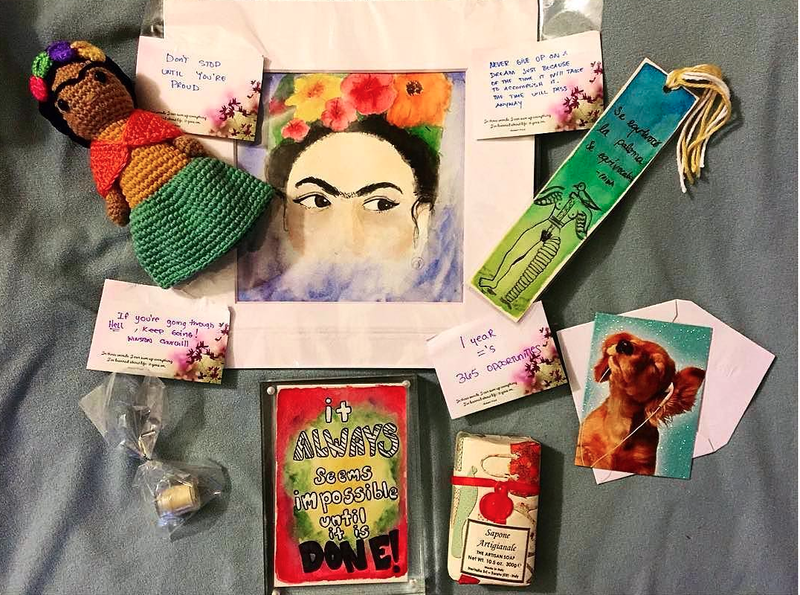 In 2016 I held our first ever online Self-Care Gift Exchange for anxiety and depression. With 158 participants, thanks to @n0pales and @nalgonapositivitypride for sharing my post, it was a success! It was a blessing to be able to read all of our stories and current struggles with mind obstacles, and a joy to partner you all with someone who best matched what you both needed. Back then, I ran everything myself, and was able to because I was living with my parents and on winter vacation from college. Now, I’m living on my own, am working but am low-income. I hope to fundraise soon to be able to pay my current womxn of color staff to help me run the next one, as well as for a Self-Care Gift Exchange site that will help things go smoother. Below are photos from our 2016 Self-Care Gift Exchange. Thank you so much for all who participated! We hope we can bring you another Self-Care Gift Exchange in the near future.